Try UltraHorn for a REDUCED Price! With the Try & Buy Program, you can test the product before you buy, removing any doubts you might have. No need to purchase until after you've tried it and seen the ultimate noise rejecting directional antenna in action! Offer valid from April - June 2019. 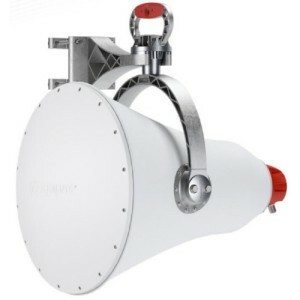 The UltraHorn™ TwistPort Antennas are high-gain, highly-directional scalar horn antennas for point-to-point connections. They offer all the benefits of scalar horns for point-to-point use: ultra noise rejection, lossless connection of radio, and symmetrical beam with no side lobes. The absence of side lobes allows UltraHorn™ TwistPort antennas to reject noise and create long links in environments with a high level of noise with unprecedented performance. No need to spend more money for radomes or shrouds and no extra costs for additional shielding.